A data structure is an arrangement of data in a computer's memory or even disk storage. Data structure as an organization of information, usually in memory, for better algorithm efficiency, such as queue, stack, linked list, heap, dictionary, and tree, or conceptual unity, such as the name and address of a person. A data structure is a way of storing and retrieving data efficiently. There are two main objectives to study data structures. First one is to identify and develop useful entities and operations and decide what type of problems can be solved with these entities and operations. The second one is to decide how to represent those entities and implement operations on those representations. There are two types of data structures are available to C/C++ programmers. One type of data structures are already built into C/C++ programming languages. These can be Arrays, Structures and classes. Other one is complex data structures that can be implemented using built in data types and structures in C/C++ programming languages. 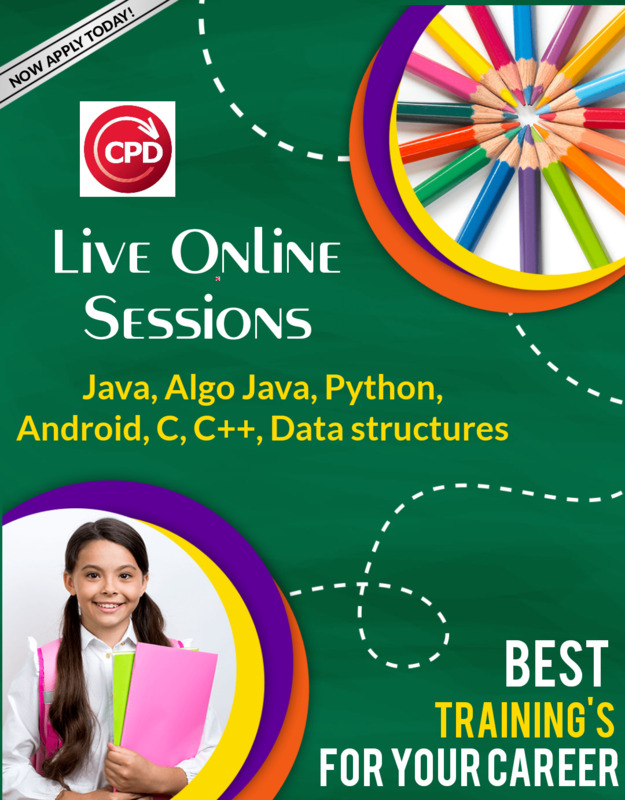 This training contains the basic of Data structure programming logic with core language of C/C++. Everyone who wish to learn the data structure organisation programming basics can participate in this Training. Participants will get introduced about modular and structured programming approach. In this training we will look at the core data structures and algorithms used in everyday applications. We will discuss the trade-offs involved with choosing each data structure, along with traversal, retrieval, and update algorithms. This is part 1 of a two-part series of training covering algorithms and data structures. In this part we cover linked lists, stacks, queues, binary trees, and hash tables.